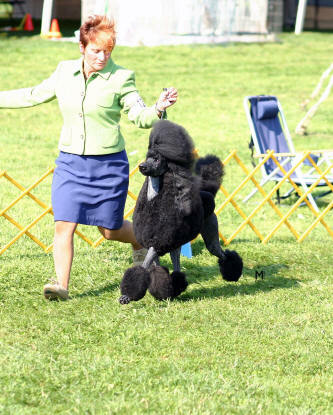 Riva was sired by Alice Giddy's boy Hamish (Am/Can Ch Signet Riverdance), bred by Donna Wilson, and her dam is my Emma (Am/Can Ch Sandhill Star at Parrish Hill). 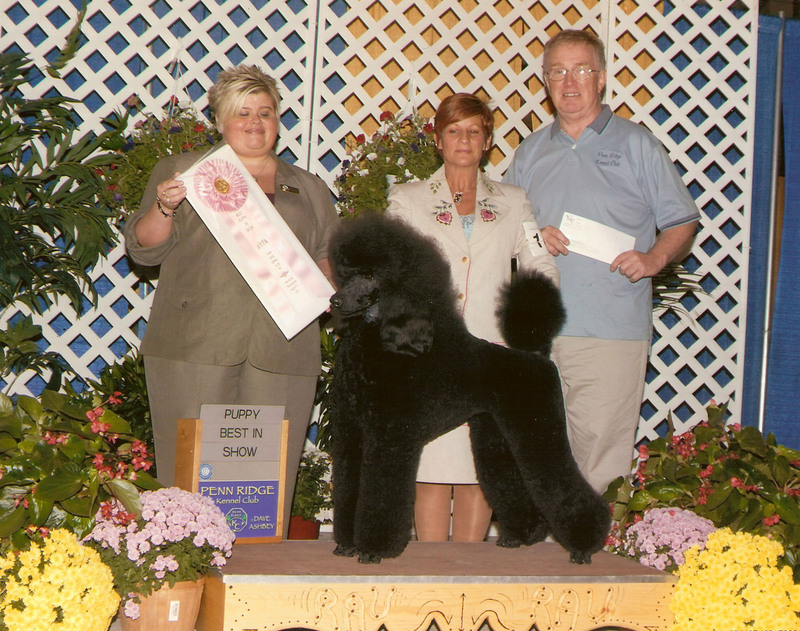 I am ever grateful to Janis Morrison Bates for entrusting me with this very special girl who is the dam of all my blacks including Lyness, Ch. 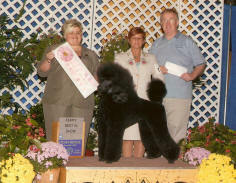 ParrisHill Lord of the Dance, another Hamish son, and Philippe, my multi-group-winning and -placing Am/Can Ch. 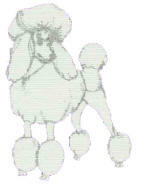 ParrisHill Piece of the Puzzle. 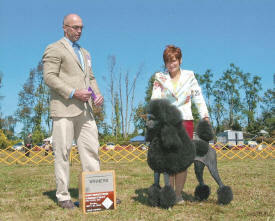 Thanks also of course to Rhonda Pacchioli for her excellent care, training and always presenting Riva at her very best. 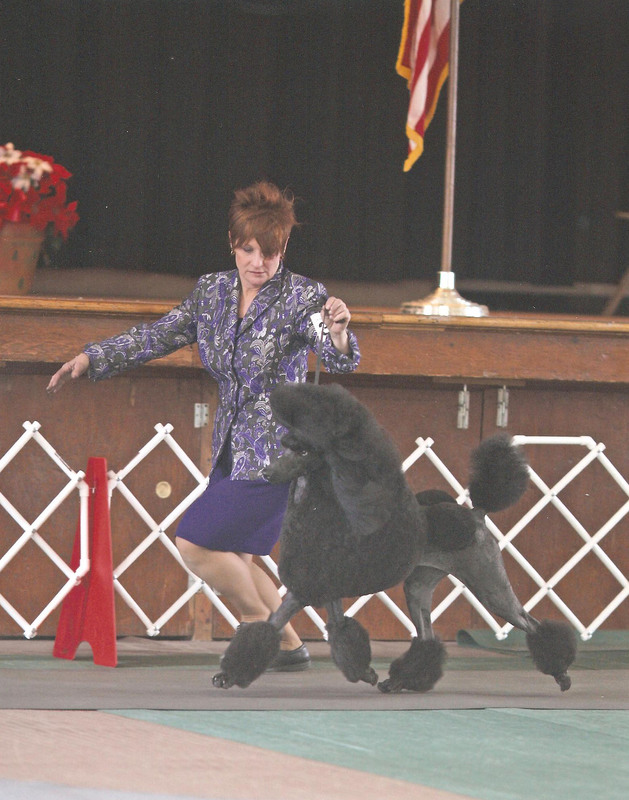 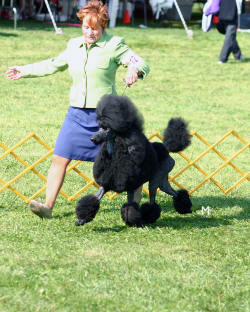 On the move with handler Rhonda Pacchioli at the Poodle Club of the Lehigh Valley Specialty December 11, 2009. 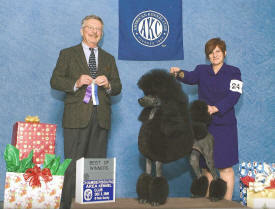 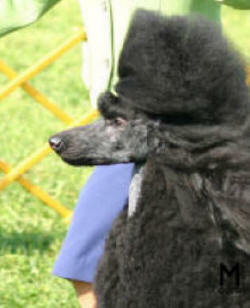 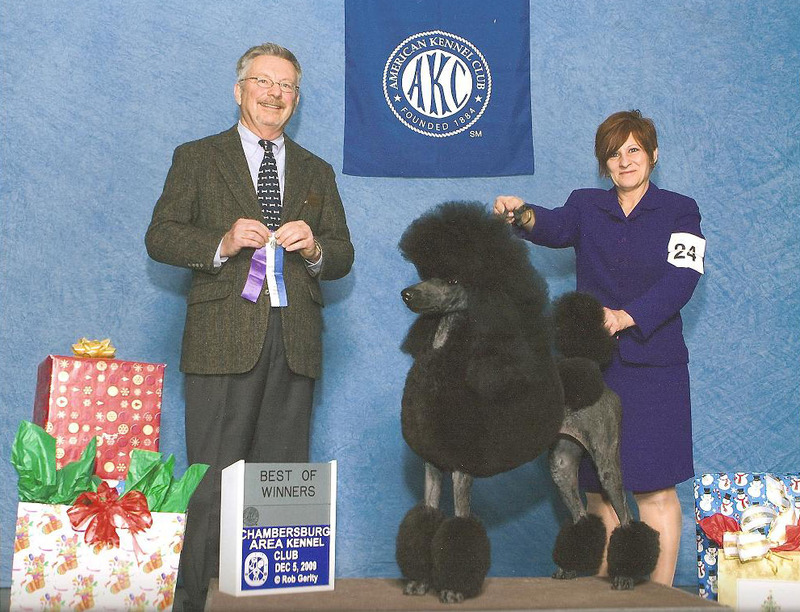 Best of Breed, Poodle Club of the Lehigh Valley Speciality, December 11, 2009, Judge Lawrence Terricone. 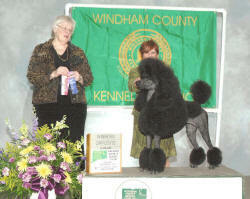 Chambersburg Area Kennel Club, December 5, 2009, judge Al Ferrugiarro. Windham County Kennel Club, November 2009, judge Charlotte Clem McGowan. 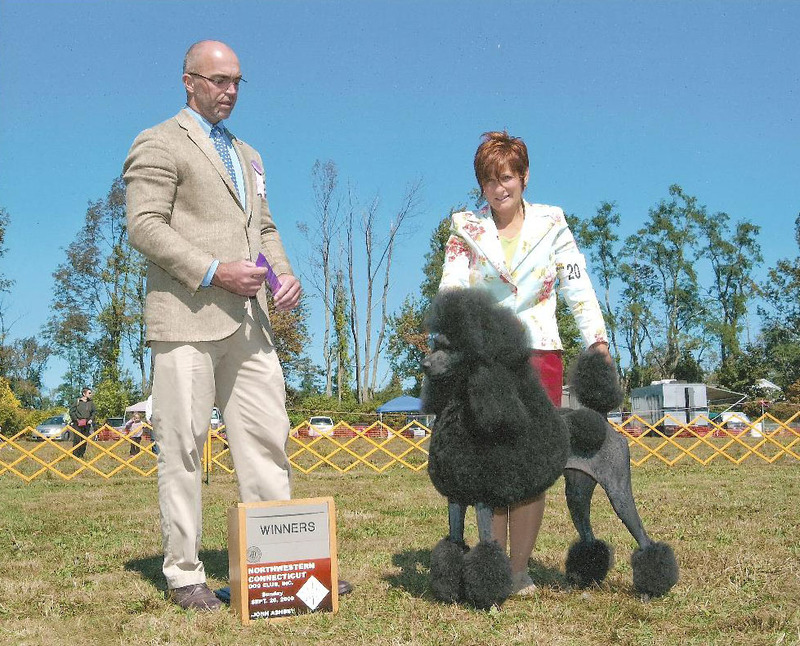 Northwestern Connecticut Dog Club September 2009, Dr. Donald Sturz, judge.